Some folks love to camp. Others—not so much. But now everyone can eat s'mores even without communing with insects—er, nature. Dip top halves of marshmallows, 1 at a time, into melted chocolate; coat with graham crumbs. 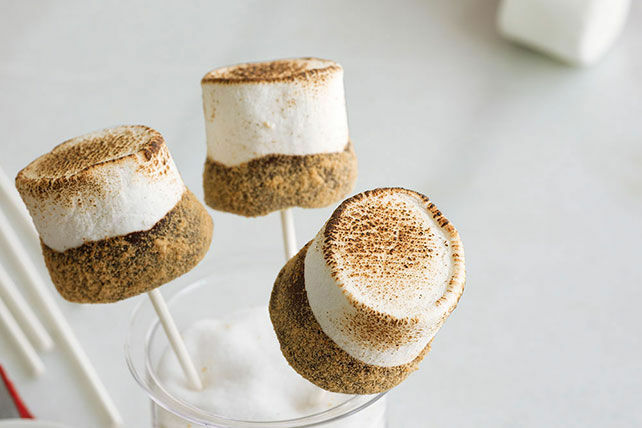 Insert lollipop stick into coated side of each marshmallow; place on parchment-covered tray. Refrigerate 1 hour or until chocolate is firm. Toast tops before serving, if desired.